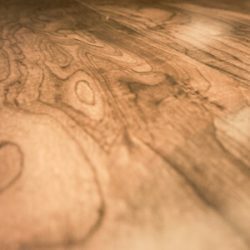 Beautiful hard-surface floors can be one of the most impressive features of your facility or home. Regular floor maintenance such as cleaning, buffing, floor striping, and sealing, is important not only for the appearance of the floor but for its protection and longevity. Why is regular floor cleaning important for hard surfaces? Most hard surfaces tend to become scratched in high traffic areas allowing dirt, grime, and grit to build-up. This not only dulls the surface’s appearance but can also shorten the lifespan of the floor. Keeping your hard surface floors clean, dry, and properly maintained is also an essential part of creating a safe and healthy environment for your customers, tenants, employees, guests, or family. Correct maintenance of hard floor surfaces requires technical knowledge, expertise, and specialist equipment. What types of flooring require specialty cleaning services? Corporate Clean Property Services has over 20 years’ experience and speciality knowledge in cleaning and maintaining hard surfaces in residential, commercial and industrial settings. This combined with our advanced methods and the utilisation of the latest equipment and technology (specific for each surface), ensures that your hard surfaces will be clean, safe and maintained to the highest standard. So whether your floor is tile, concrete, stone, marble, or another hard surface, Corporate Clean Property Services understands the unique and special attention it needs to ensure that the best possible presentation is achieved, it longevity is preserved, and that a safe and clean environment is provided.